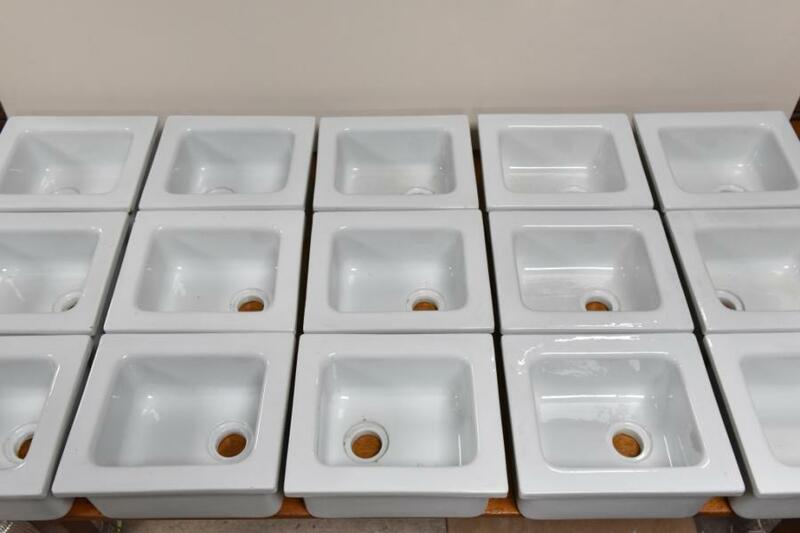 A good collection of small enamelled sinks in oblong and square shapes and various sizes. 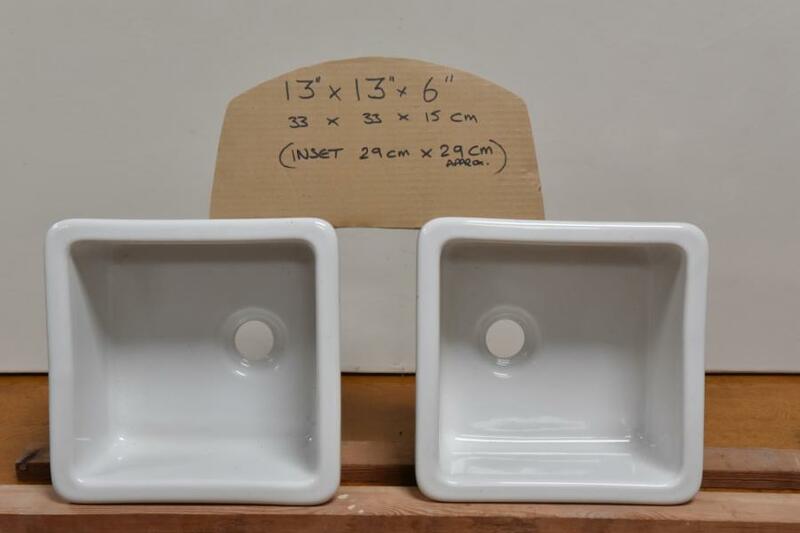 Made of enamelled fireclay -similar to belfast sinks. 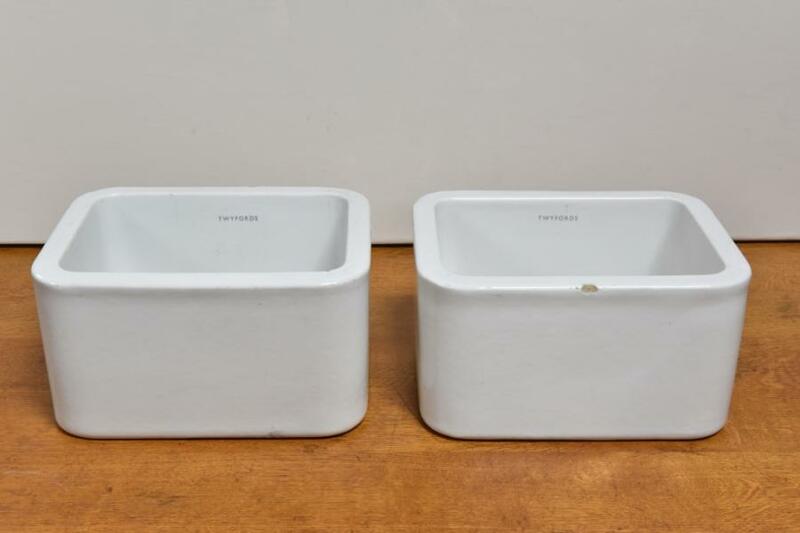 they would be suitable as handwash basins or as planters. They have been cleaned. 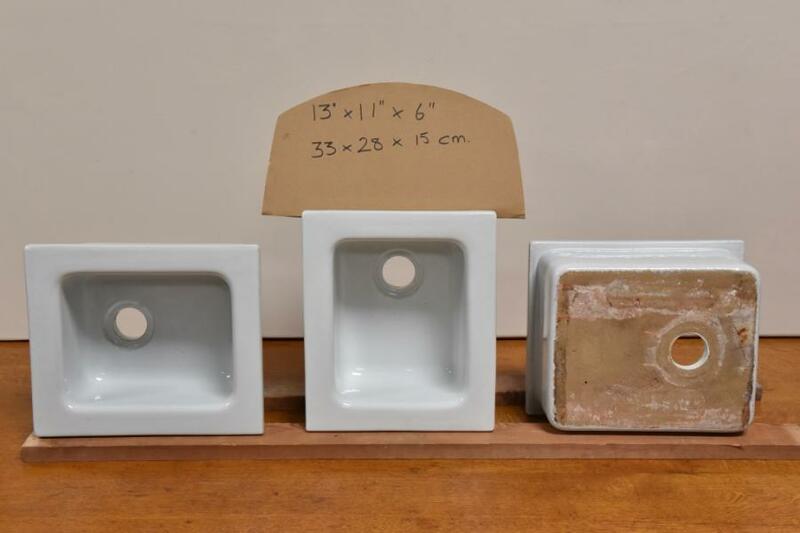 All are in pretty good condition but i have graded, the best for sinks and then G1,G2 and G3 with G1 useable as a sink or a planter (v minor defects), G2 ( minor defects / tiny chips) and G3 (still good as a planter but with more obvious chips) Number available; Sinks-6 G1-8 G2-17 G3-2 Prices from £25 to £120.Please see other adverts for details or email your requirements and i can send details and photos.